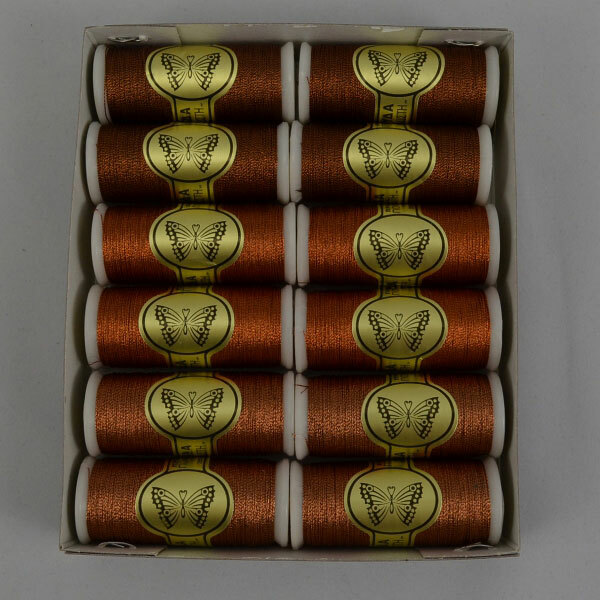 Butterfly Metallic Embroidery Thread (35 metre reels) is suitable for hand and machine embroidery. Fantastic to work with as it does not shred or split. 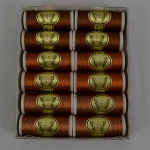 Mixed box contains 4 reels each light copper, medium copper and dark copper.